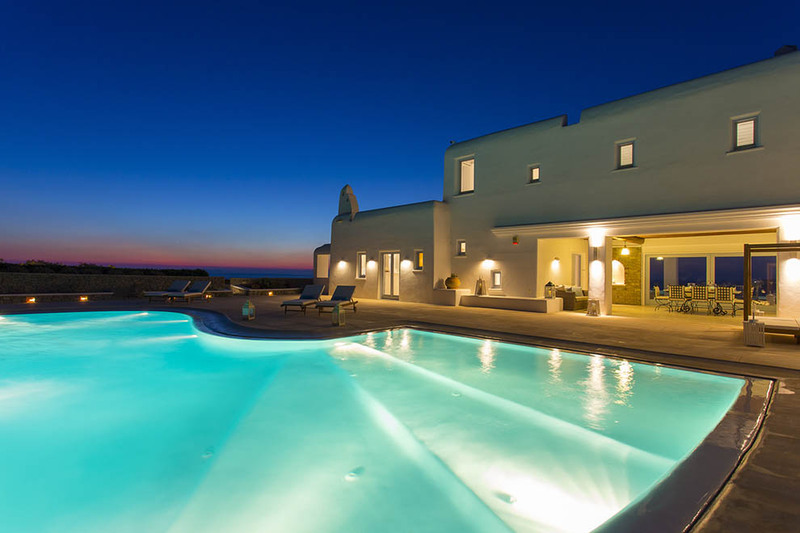 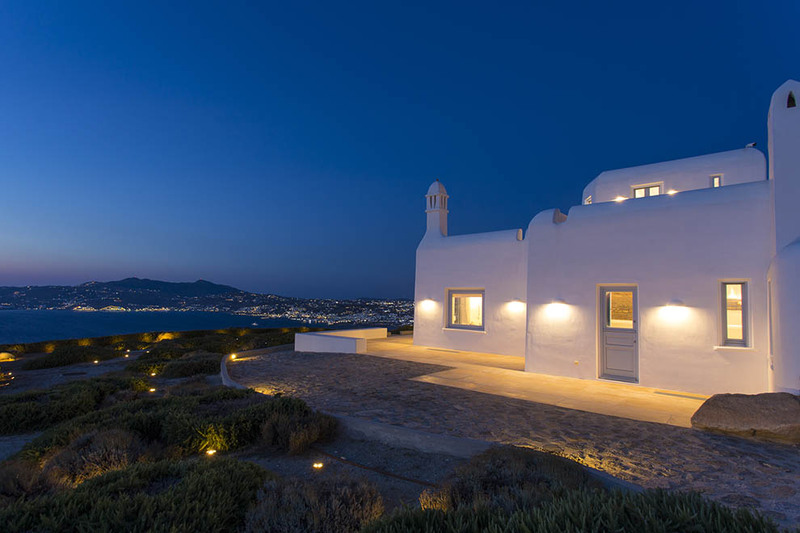 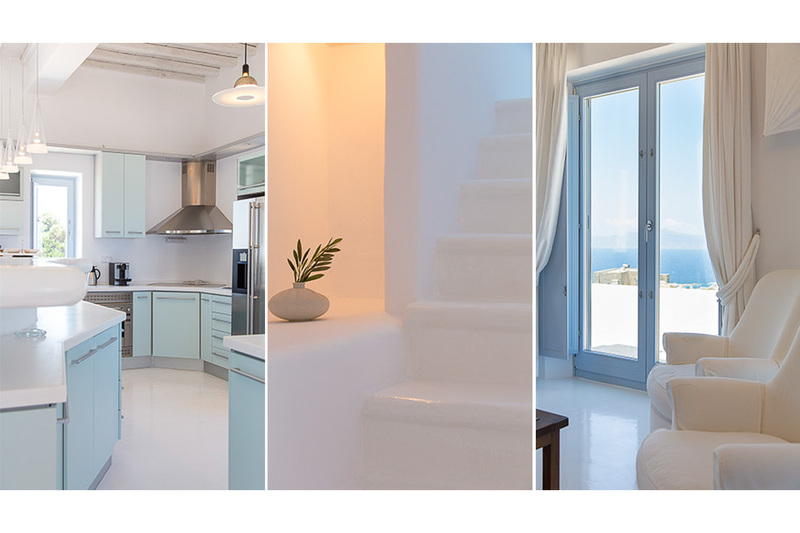 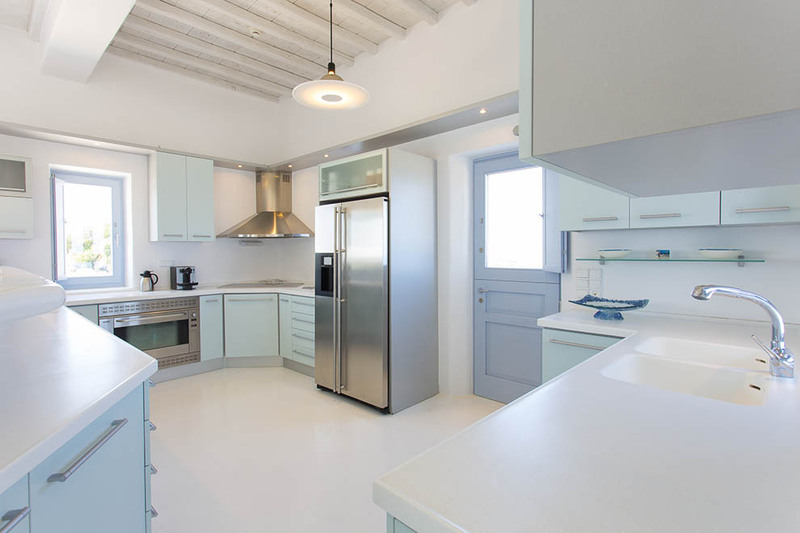 The gorgeous and modern villa Bella Vita is situated at the top of a hill on the southwest coast of the island of Mykonos and it enjoys an unrestricted and breathtaking view across Mykonos town and harbor. 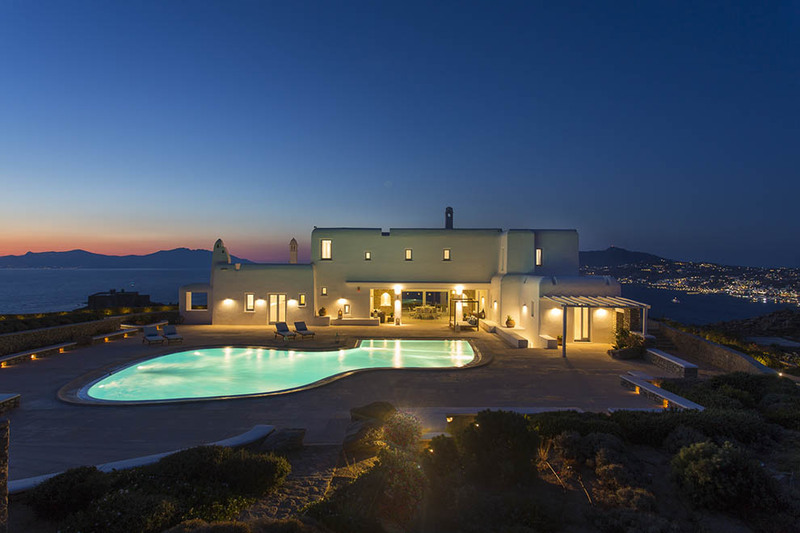 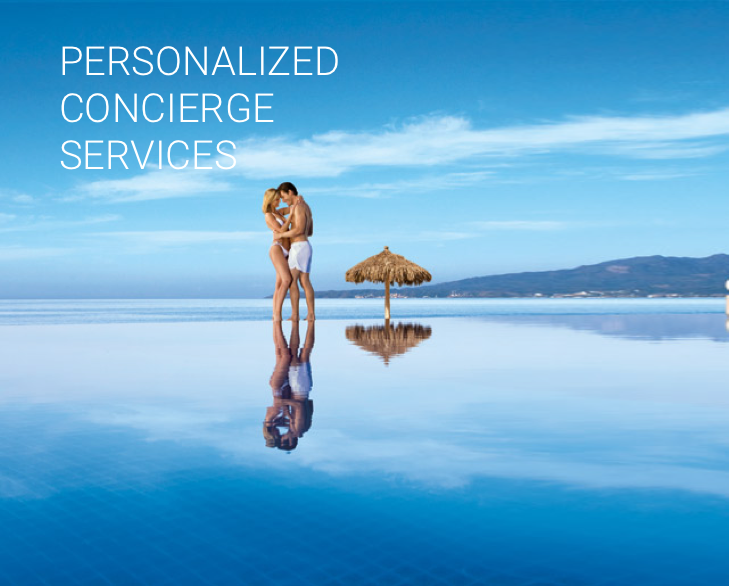 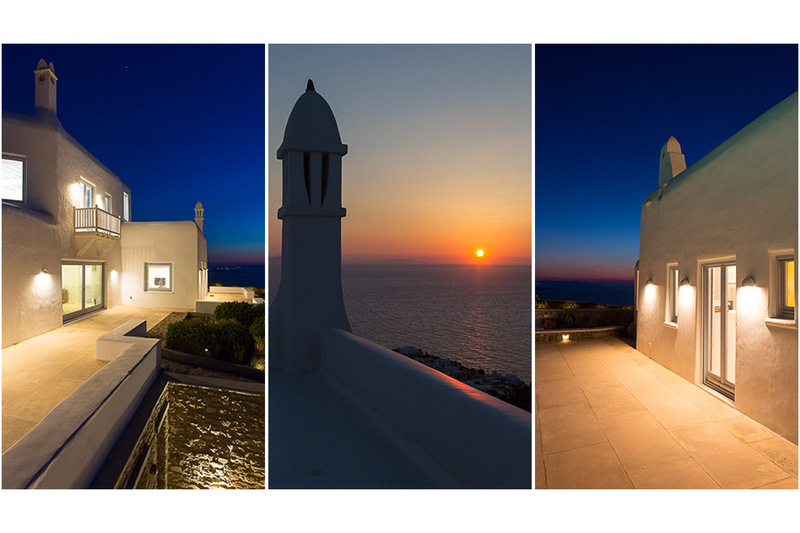 Guests can follow the sun, from the breaking dawn until the colorful sunset, while gazing at the infinite blue colors of the Greek sky and the Aegean Sea. 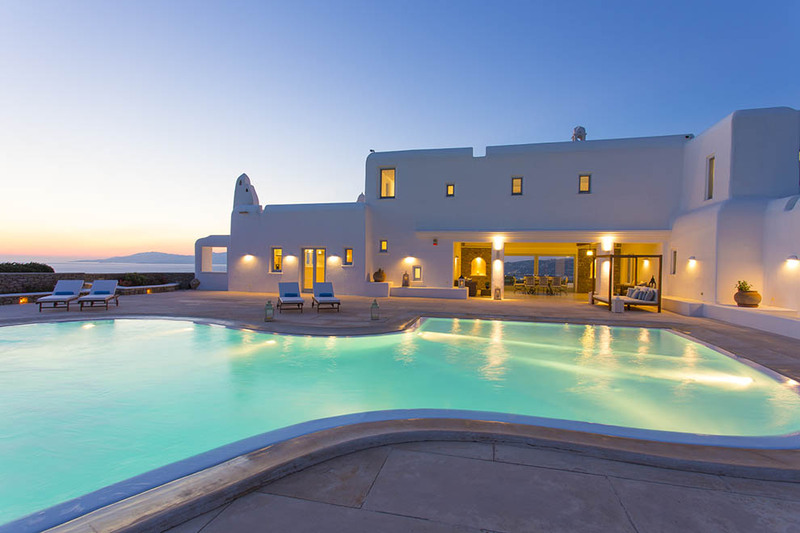 The main house of Villa Bella Vita unfolds in three levels: at the ground floor and with access to the private pool and outside areas, the cozy sitting area, the stylish dining room and the open plan fully-equipped kitchen will ensure that your stay is comfortable and carefree. 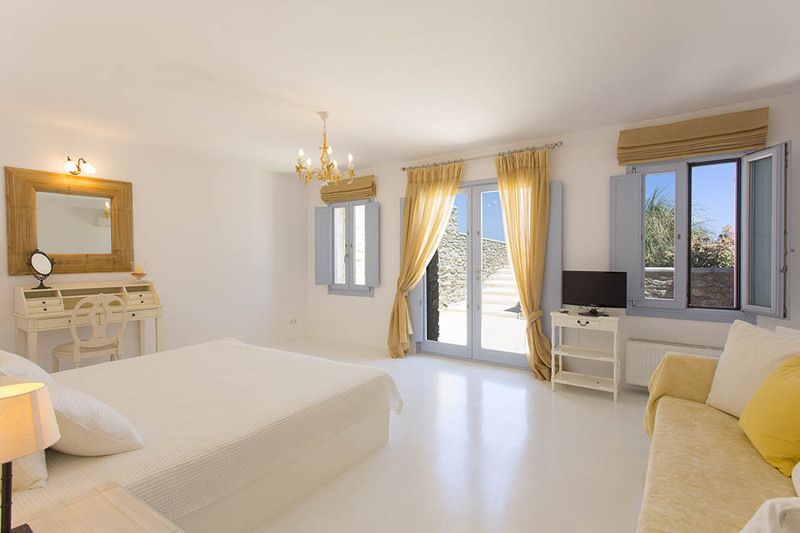 Located at the upper level of the villa, the tastefully decorated master bedroom will guarantee ultimate moments of relaxation, while at the lower level of the villa there are two spacious guest bedrooms with separate living rooms and other ancillary spaces. 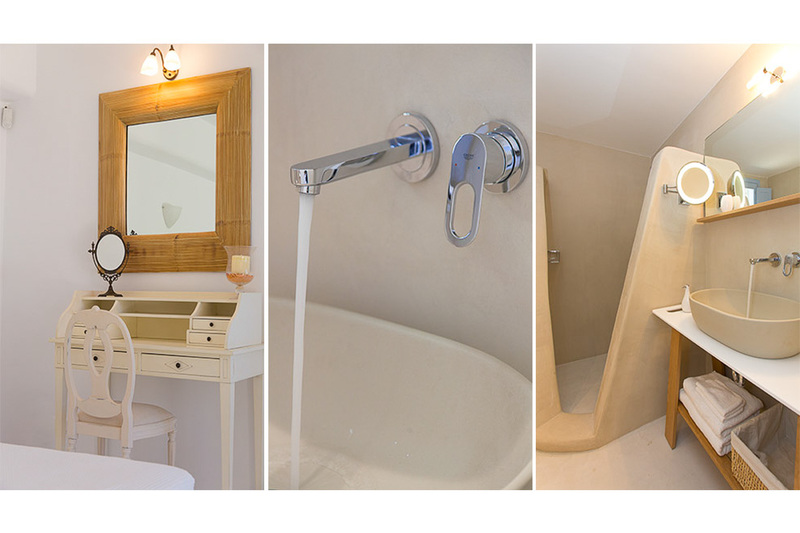 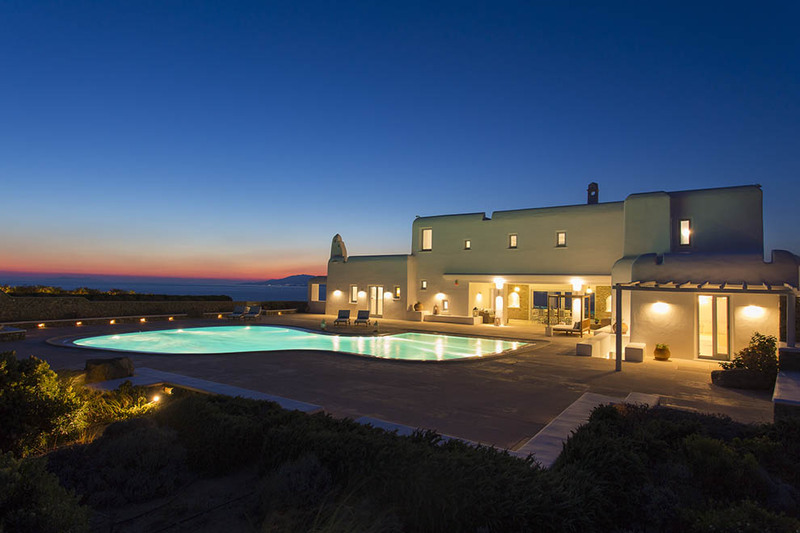 The villa has also three guest houses with separate entrance for greater privacy and independence of the guests. 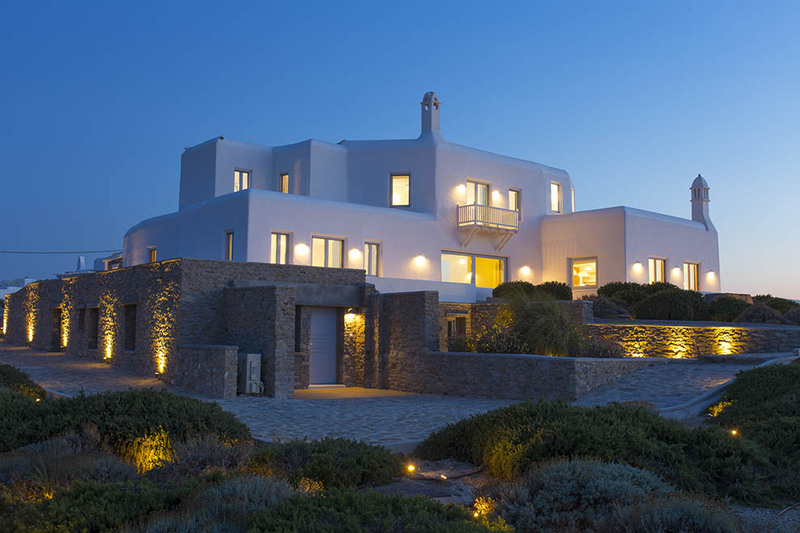 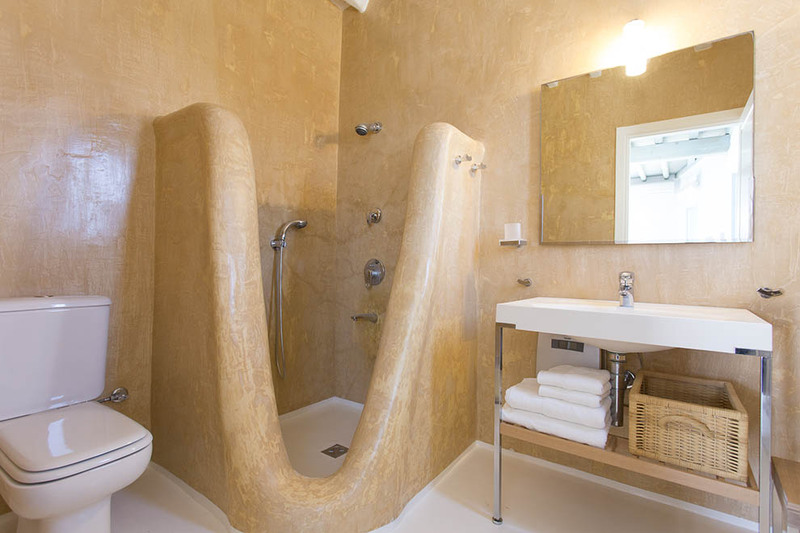 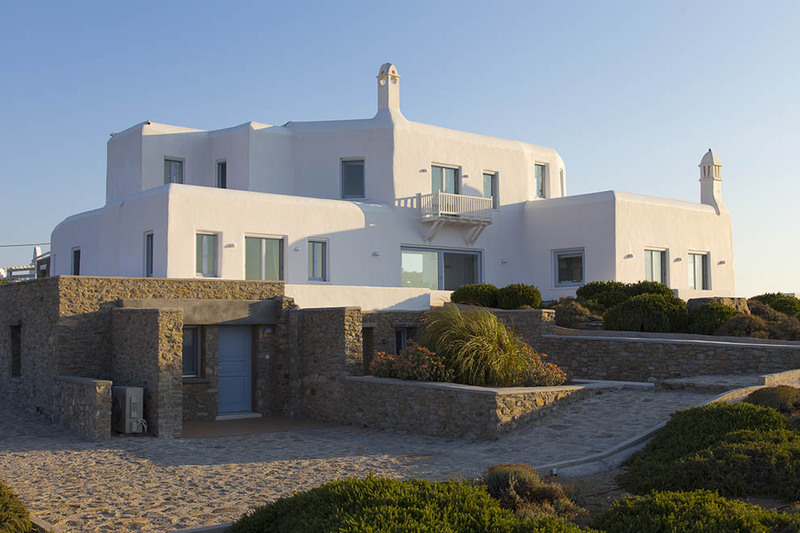 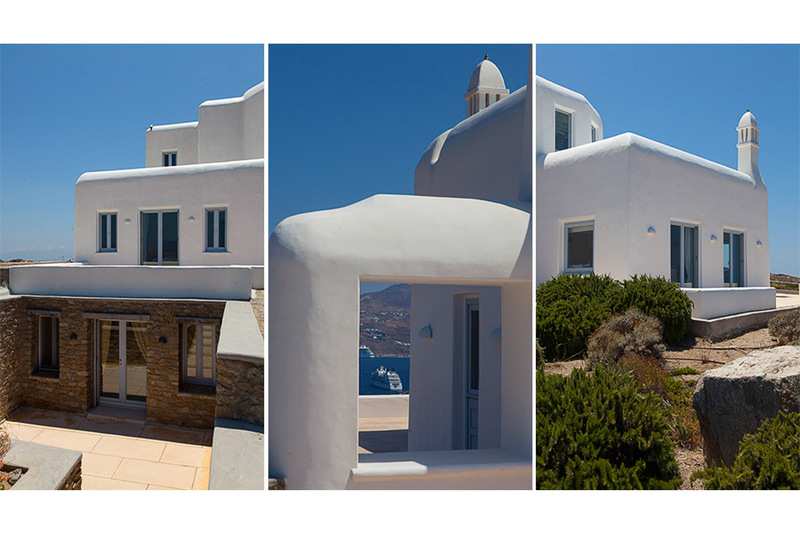 In line with the traditional architecture and the natural surroundings, the Mykonos villa is characterized by curved surfaces, wooden ceilings and details, built-in bathrooms with stucco veneziano technique and large window openings. 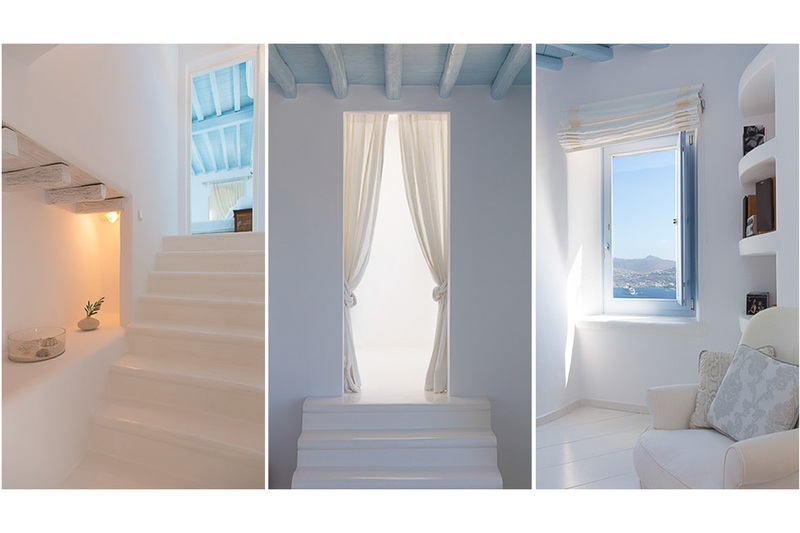 The decoration is simple yet elegant, with a discreet sense of luxury. 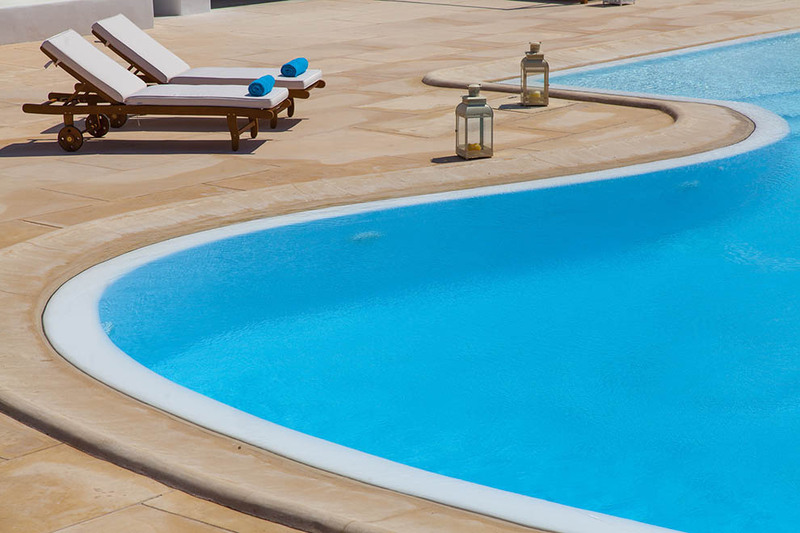 The outside areas are dominated by the gorgeous swimming pool with its unusual yet graceful shape and its invisible overflow slot. 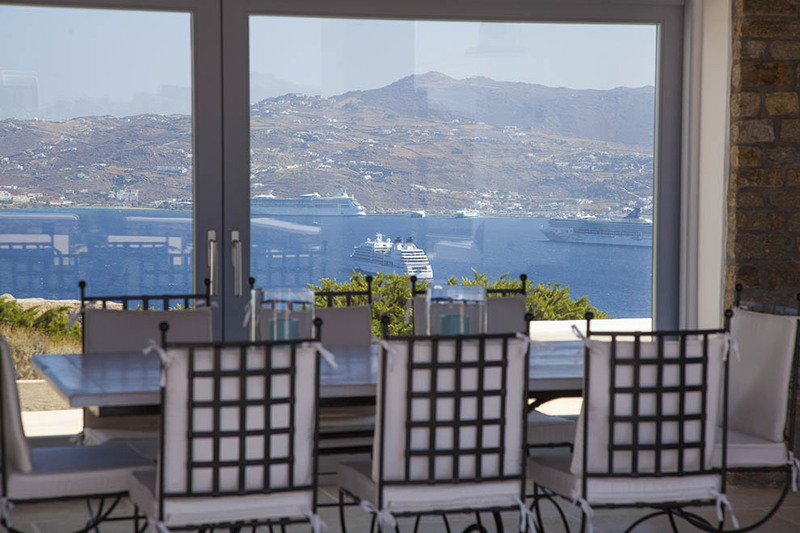 The outdoor sitting and dining areas offer limitless views to the tiny sparkling lights of Mykonos town and are perfect for unique meals and social gatherings with your family and friends. 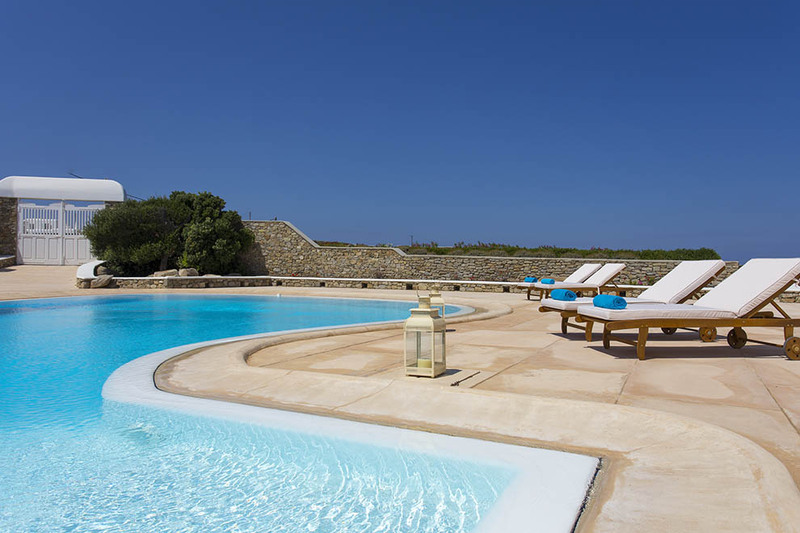 Villa Bella Vita is a perfect option for holidays in a luxurious property of high quality and standards, a beautiful surrounding and a relaxing ambience.